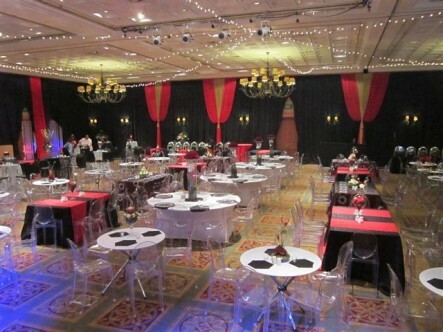 MPR HIRING recently set up the new Vicky Clear Chairs at the PSL Awards, an award ceremony for the soccer aficionados, at Gold Reef. 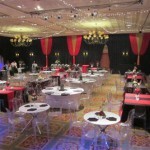 These superb polycarbonate clear chairs lend a glamorous feeling of enchantment to this occasion. These Vicky Clear Chairs are proving to be a sought after item with leading event coordinators and one can see why in the photograph. One more example of the leading role MPR HIRING plays in event equipment hire for events like the PSL Awards. We are always acquiring new cutting edge stock to satisfy our client’s sophisticated tastes and make the very best in event equipment and décor available at a price that makes sense. Quality, Integrity and Value. Those are our MPR HIRING watch words.